After 4 four days of ceasefire violation and heavy cross border firing from across the border, relative calm has spread for the moment. These ceasefire violations had made life hell for the border dwellers of 5 districts of Jammu: Jammu, Kathua, Samba, Poonch and Rajouri, along the International Border and the Line of Control. Starting from Thursday, the firing has resulted in a loss of 6 civilian lives, 2 Army men and 2 BSF personnel, making a total of 10. Another 50 people have been injured during the cross fire apart from the loss of property, cattle, crops and others. 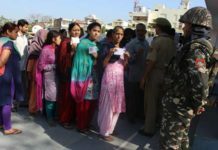 According to Deputy Commissioner Jammu, Kumar Rajeev Ranjan, 58 villages in Arnia and Suchetgarh sectors of Jammu district have been affected due to the shelling by Pakistan. It is also said that the events have led to a mass migration of 40000 people to safer areas. In the firing, 131 animals have been killed, 93 injured and 74 buildings and houses have been damaged. Over 5000 cattle has been shifted to safer places. Almost entire Arnia village, along the International Border of Jammu district, has been abandoned by the 18000 strong village folks in an attempt to save their lives. 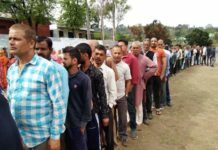 In Samba and Ramgarh sectors of Samba district, over 5000 people have migrated besides over 3000 from Hiranagar sector of Kathua district. Over 150 Kullas have also been gutted and bovines killed in fire triggered by bursting of mortar bombs fired by Pakistan troops in Jeora farm, popularly known as “hamlet of milkmen”. 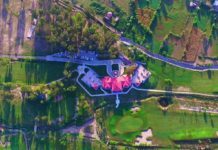 The hamlet houses over 100 families and is famous for supplying milk and other milk products to Jammu. 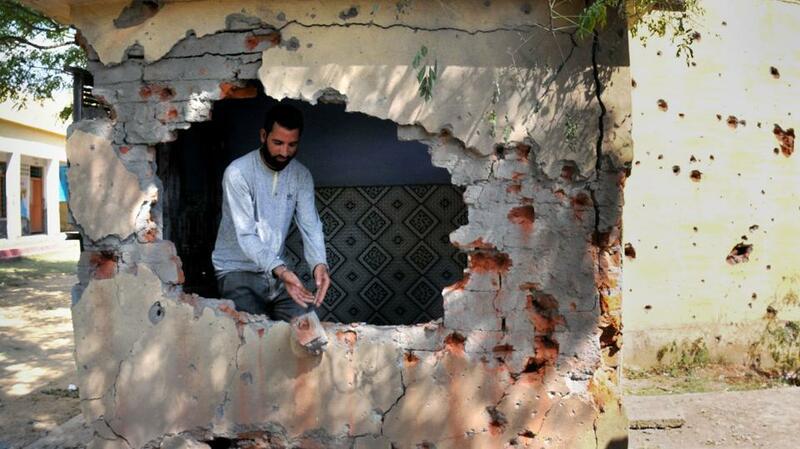 For the first time, shells fired by Pakistan have exploded in Gajansoo village, killing a 25 year old. The indiscriminate firing is being claimed, by the locals, to be the most violent the Pakistan side since the wars of 1965 and 1971.